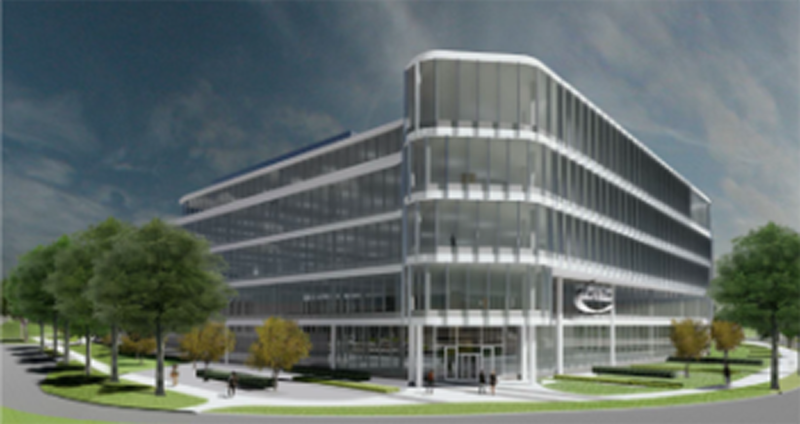 Zotec Partners has broken ground on its new national headquarters on Illinois Street adjacent to its current office building in Carmel. The provider of medical revenue cycle management solutions plans to move into the five-story, 120,000-square-foot office building in 2020. Indiana Gov. Eric Holcomb joined Zotec and other local officials for the April 8 groundbreaking ceremony. The new campus will be on 15 acres adjacent to Zotec’s current site on N. Meridian Street. The campus will also include a parking garage, training facility and room for future growth. The company is planning to hire 300 new employees in the next five years. “Zotec’s people are the most valuable component of our service offering, and we are excited to give our employees an inspiring workplace with a new headquarters that feels like home to them, a place where their work is not hindered by traditional corporate walls,” Zotec founder and CEO T. Scott Law stated in a press release. Zotec Partners is the largest privately-held provider of revenue cycle management and practice management solutions, managing more than 80 million medical encounters annually.